1: KASHIWABARA Takuji (FRA) WINNER! There are three web applications available. 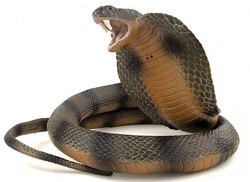 You can play a game against the Cobra computer (5 levels) or improve your endgame skills with the endgame-trainer. 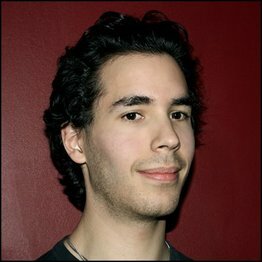 The site also offers an app for gameanalysis. It's all in Japanese, but I managed to register with the help of Google translator. My favourite app..., the endgame trainer. 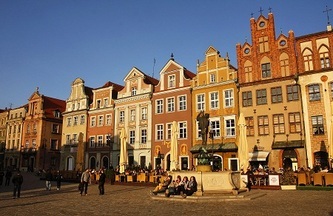 The final of the Grand Prix de France took place this in Saclas. The players enjoyed the hospitality of the Juigner family. Seven rounds were played on Saturday and three more rounds and final on Sunday. 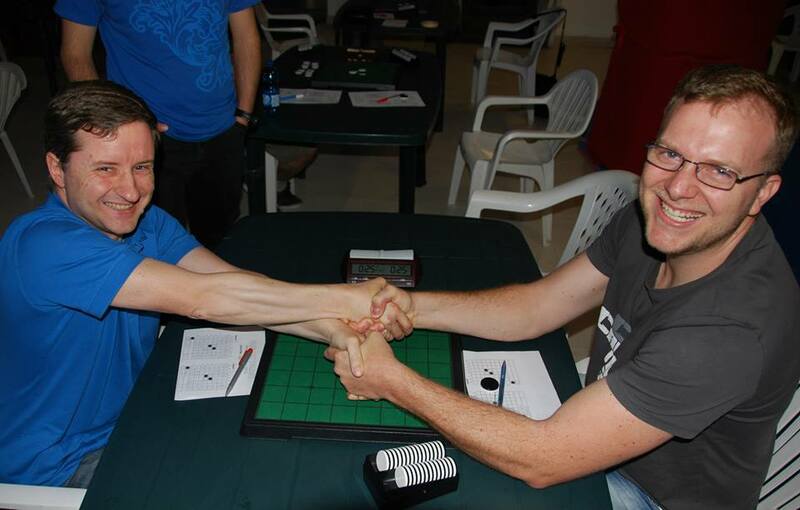 Marc Tastet won the final against Arnaud Delaunay in 3 games. Takuji Kashiwabara finished 3rd, Arthur Juigner 4th, Bintsa Andiani 5th and Eric Margarit 6th. 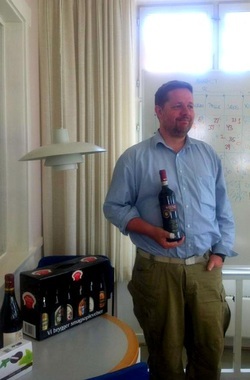 Kim Nielsen won the Greve Cup for the third time. Only 4 players at this tourney, but according to Solrun, it is the most beautiful tourney of all. 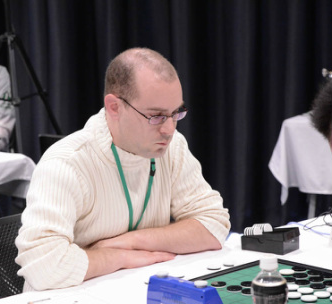 Karsten Feldborg still leads the 2013 Dansk Grand Prix Othello with 400 points. Kim Nielsen is second with 320 points and Palle Badsted is 3rd with 280 points. Henrik Vallund lost his second position in the GP ranking and holds 4th place with 260 points. 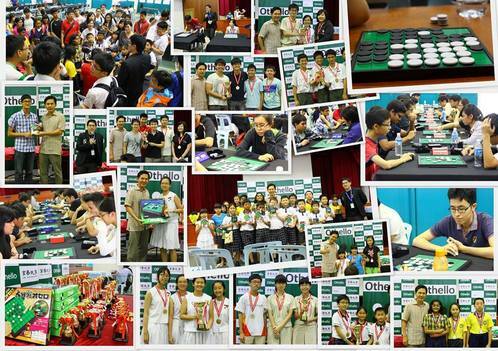 A major Othello event in Singapore with 88 players. That's the future of Othello. 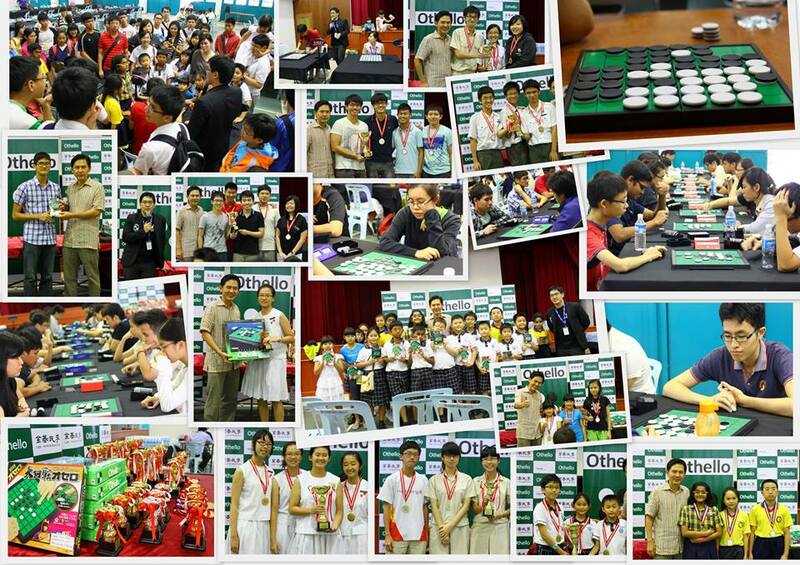 The Singapore Othello Organisation has very active members and all work hard to be on the Singapore OWC team in 2014. 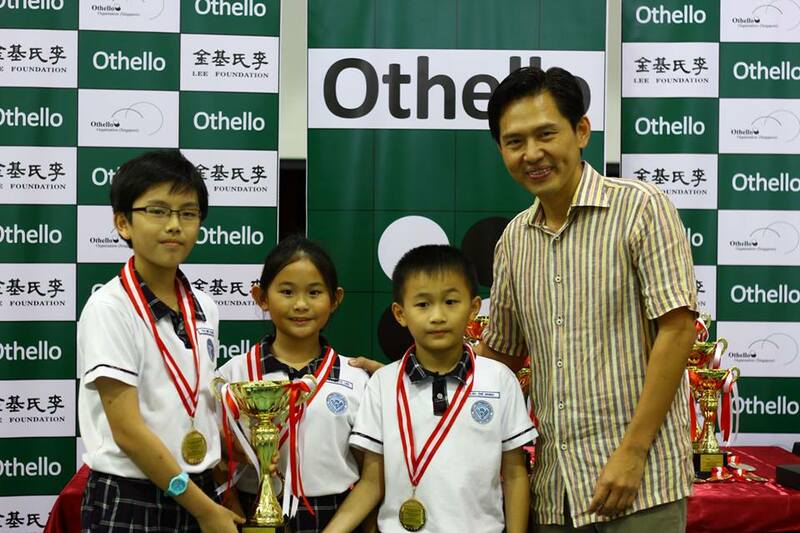 Koh Bo Chao, president of the SOO, hopes that next year's School Championship will have at least a hundred players. 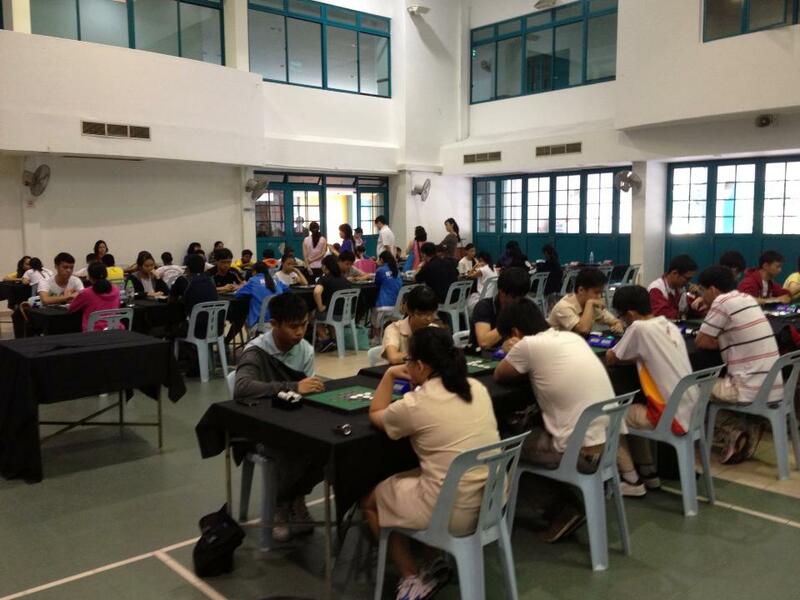 There were a total of 4 categories being competed throughout the whole tournament of 7 Rounds Swiss Pairing. Primary Schools (Under-12), Secondary Schools (U-16), Junior College (U-18) and Tertiary Category (U-25). Congratulations to Bukit View Primary School for winning the very first Primary School Category award! 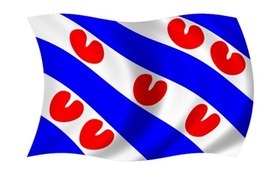 Michiel le Comte won the Fryske Championship 3 times. 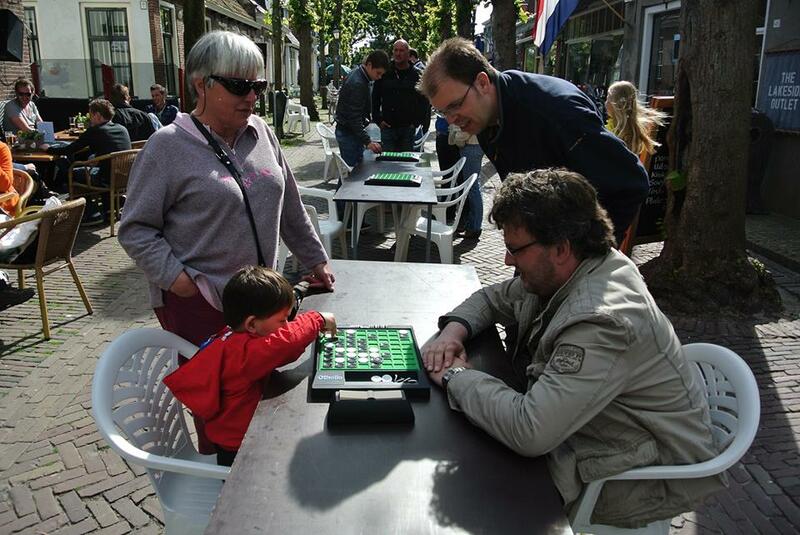 Roel Hobo won in 2011 and in 2012. 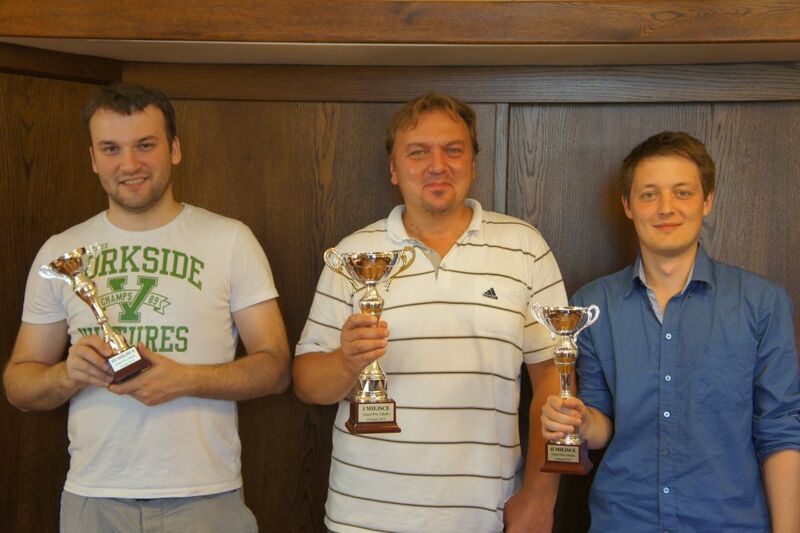 Wih his victory at the 2013 edition with 6 points (6 rounds) he is the latest triple champion. Well done Roel!!! Oscar versus Albert, who won? Father or son? Alessandro Di Mattei won this tourney with 7 points. Runner-up Francesco Marconi had 6 points. Third place for the player with the perfect orange Holland shirt, George Ortiz. 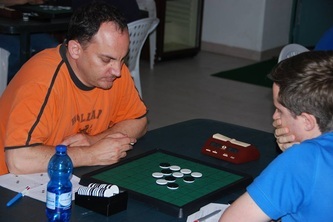 Alessandro Di Mattei also wins the 2013 Grand Prix Italiano. 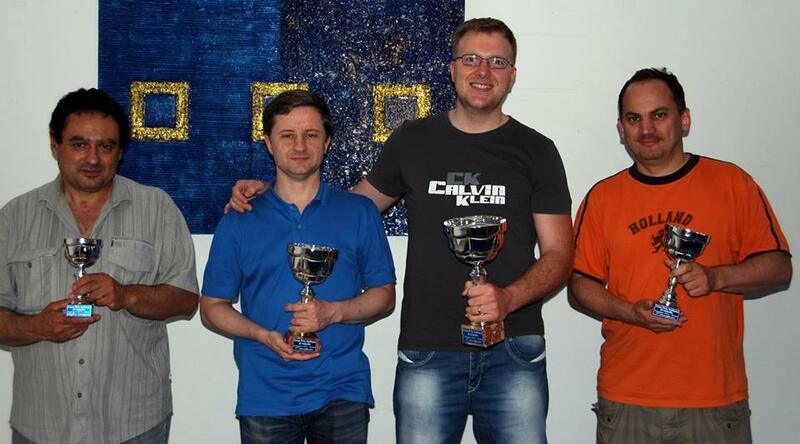 Second place in the GPI for Francesco Marconi and third place Donato Barnaba. UP left to right: George Ortiz, Stefano Carpigo,Patrick Serpe, Giuseppe Chiarulli, Alessandro Di Mattei, Biagio Privitera. DOWN left to right: Francesco Marconi, Maurizio Rasconà, Leonardo Caviola, Michele Diodati. "The Swedish Othello Federation celebrates its 30th anniversary! Celebrate with us in various Othello tournaments and events. 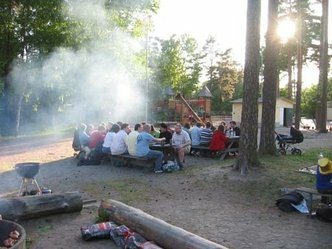 Stockholm Othello barbecue will be arranged and we promise a great Stockholm and incredibly good weather! 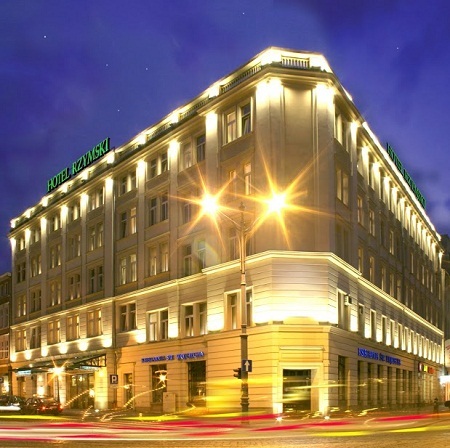 Daniel Turunen travelled 900 km to Stockholm on the nighttrain, but the train arrived too late. 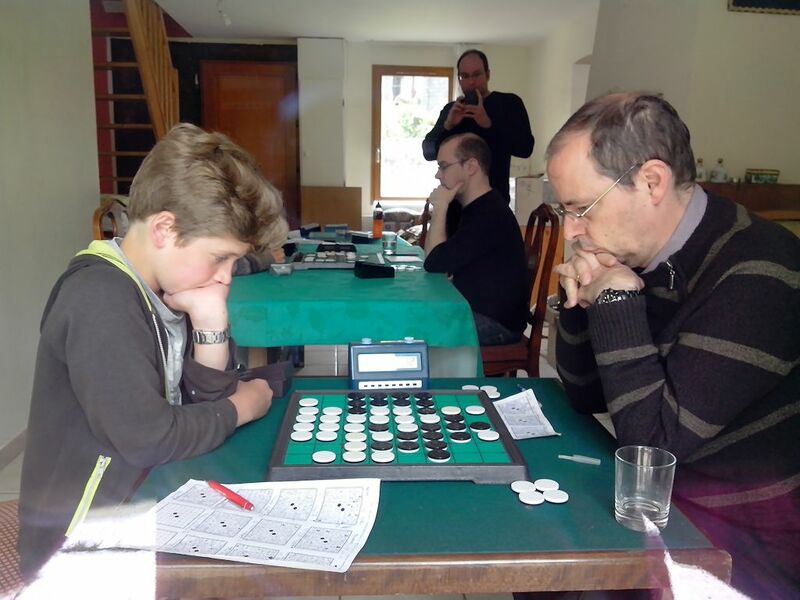 He forfeited his game in the first round against Veronica Stenberg, but he won all the other games and so won the Stockholm Open 2013. Mito Japan 2016: 4th OWC or 40th WOC? 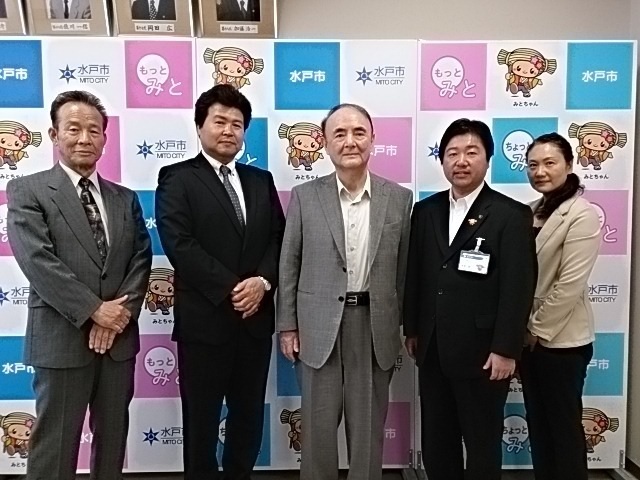 The inventor of Othello, Japan Othello Association (JOA) Chairman mr. Goro Hasegawa, paid a courtesy visit to City Hall in Mito, accompanied by representatives of Megahouse. The Japan Othello Association hosted the World Othello Federation's World Othello Championship every 10th year, 76, 86, 96, 06. 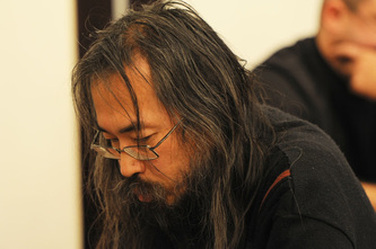 In 2006 it was the 30th World Othello Championship organised by the World Othello Federation and it was held in the city of Mito in honour of mr. Goro Hasegawa who was born there. 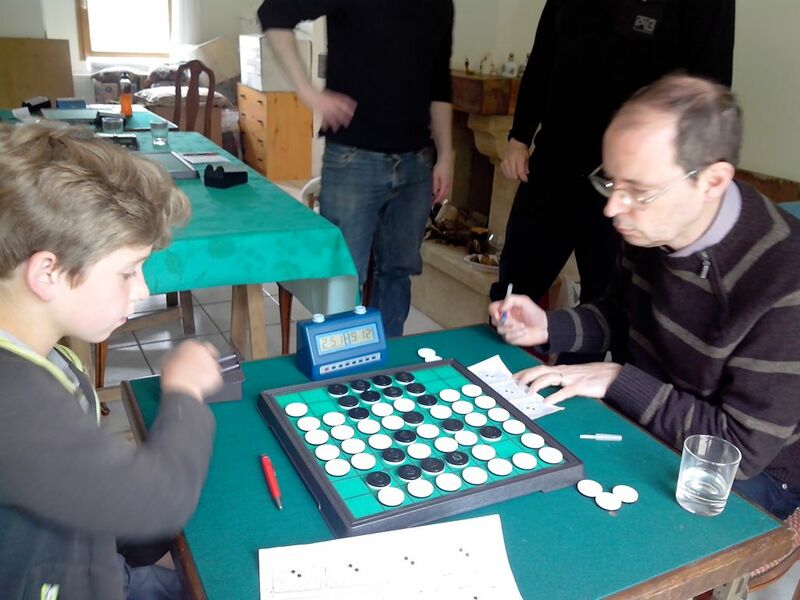 Now the JOA seems to want to continue the 10-year tradition, but not with the official World Othello Championship within the WOF, but as a continuation of the Othello World Cup that they started in January this year. Mito city council seems willing to cooperate to help the JOA to host another Othello event. The Mayor said, "I think I would like the tourney held in Mito by all means and I would like to cooperate. 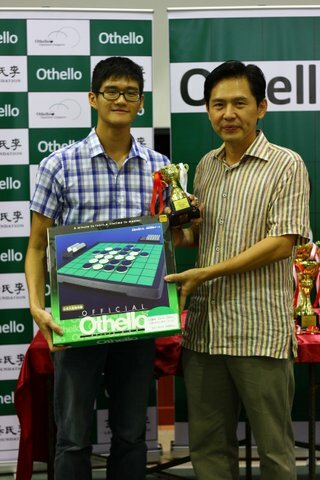 Starting with the world champions, top players of Othello from across the globe. I think it is possible to send to the world the name of Mito, and lead to the bustle of the city." 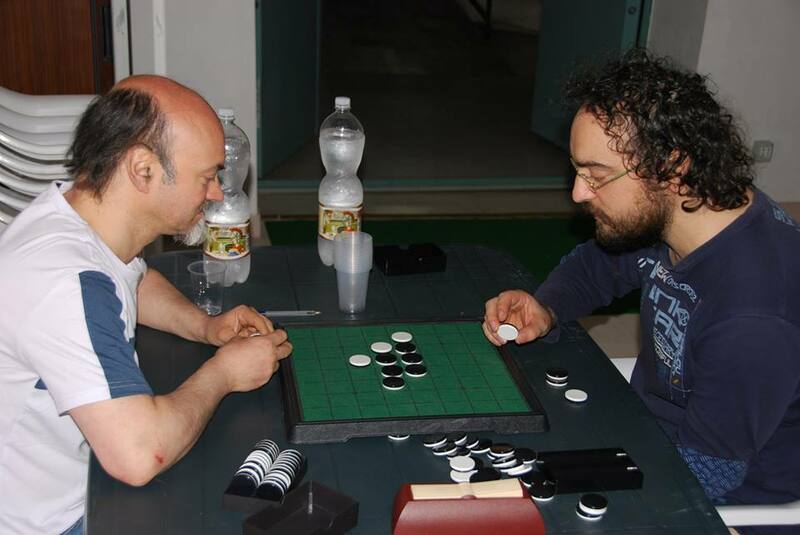 Anjar and Megahouse together with WOF have organized the World Othello Championship (WOC) for many years. Because of an ongoing conflict between Anjar and Megahouse (which does not involve the WOF), WOF have decided that as long as the conflict lasts WOF alone will be responsible for organizing WOC. WOF have announced that the WOF World Othello Championship will be played in Stockholm 23-26 October this year. 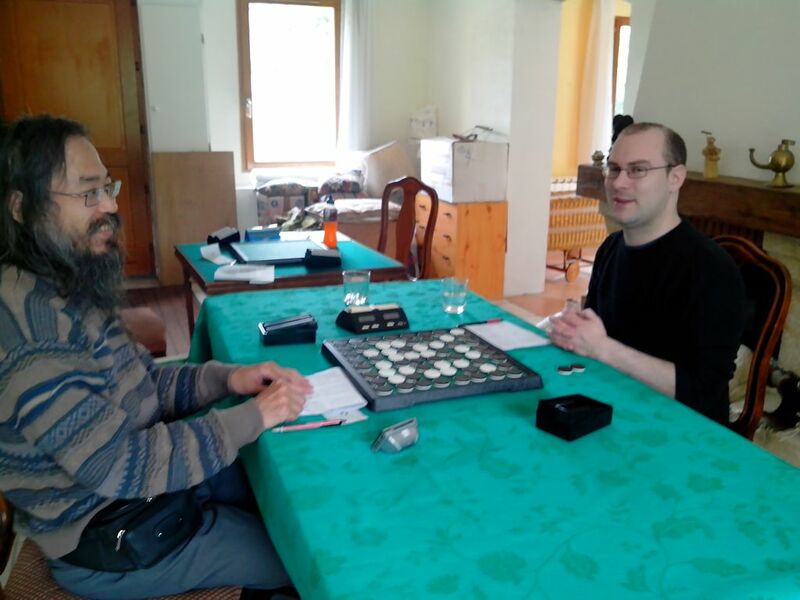 WOF’s intension is to continue to organize WOC the coming years, and as long as the Othello World Cup is a tournament based on specially invited players there should be no conflict between Japan Othello Association organizing Othello World Cup and WOF organizing WOC. The final stage of the French Grand Prix will be held the week-end 22nd and 23rd of June 2013. 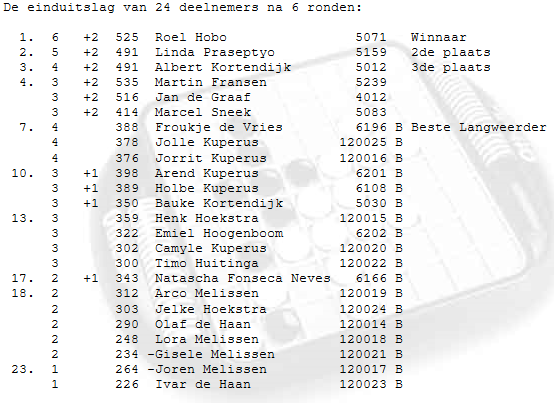 Invited are best six players after one year of open tournaments. 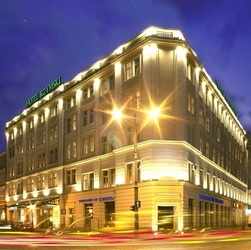 The winner will get a place in the French team for WOC Stockholm 2013.